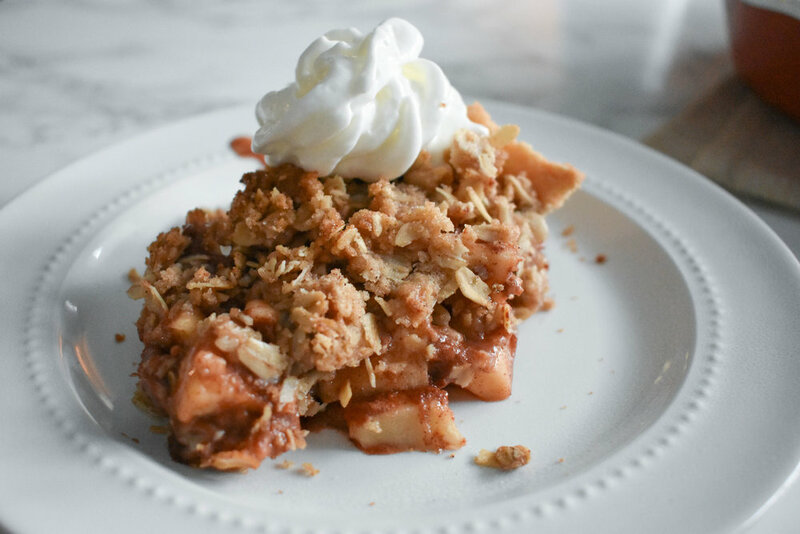 This apple crumble is one of my favorite dishes to make throughout the year. While it is incredibly delicious, it has more to do with the memories than anything. 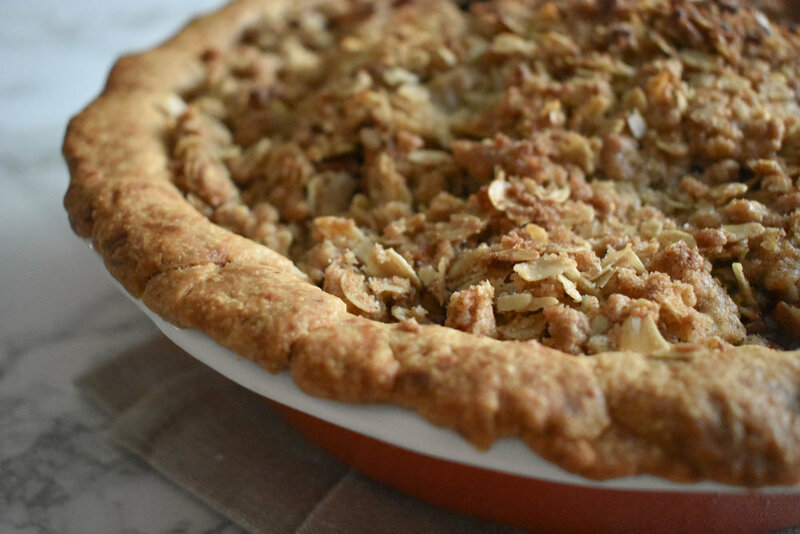 Years ago ahead of a Thanksgiving, my dad and I decided to make a homemade apple pie. I’ve always had a love of baking so the fact that we previously had store-bought apple pie on the holiday made zero sense to me. My dad offered to partner up with me on the task and from then on a tradition has been born. Each year on the Wednesday before Thanksgiving, I go to my parents house in the afternoon to prep apple pie with my dad while my mom prepares other dishes alongside us. Dad and I both have a hand in cutting up the apples (with many emergency trips to Publix over the years to buy more apples when we underestimate how many we need), but my dad loves getting his hands into the bowl to work the crumble to perfection. It really is an art form and a workout. From there the pie sits for a day until we bake it up the next day so it’s warm and fresh baked scent is wafting through the house when we all arrive for dinner. The older I get the more I appreciate these small traditions, and I know I’ll hate the first year that comes along where I don’t get to partner up and make this apple pie with my dad. 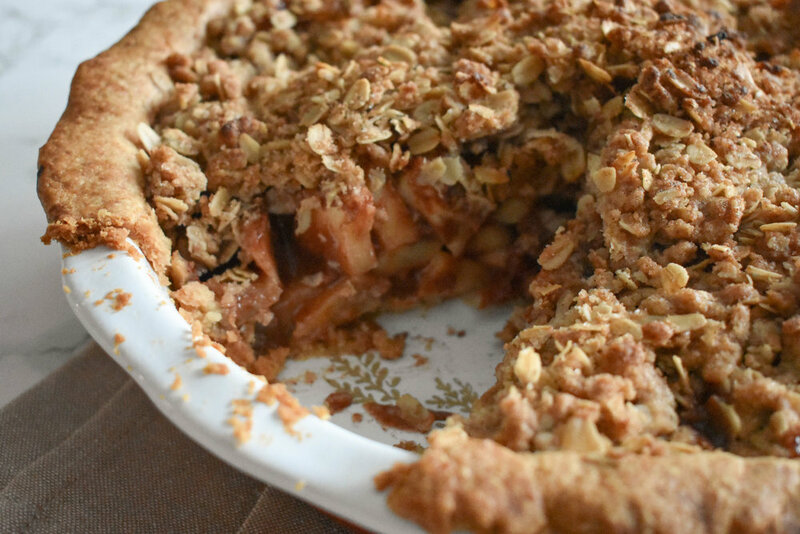 The recipe for this apple pie has been perfected over the years and our entire family loves it and fights for a leftover slice. I hope your family - whatever that family may look like - loves it just as much. Preheat your oven to 400 degrees and prepare your pie crust. In a large bowl, mix the chopped apples, flour, sugar, cinnamon and lemon juice. Pour into the center of the pie crust. Bake at 400 degrees for 20 minutes, then lower your oven to 350 degrees and bake for an additional 35 minutes. *Your apple pie will peak in the center and you want this. The apples will bake down and the pie will flatten out as it cooks.